In 2004, West Broadway Neighborhood Association purchased a vacant and blighted property at 1577 Westminster with an aim to help rebuild a neighborhood main street and provide much needed services to our community. 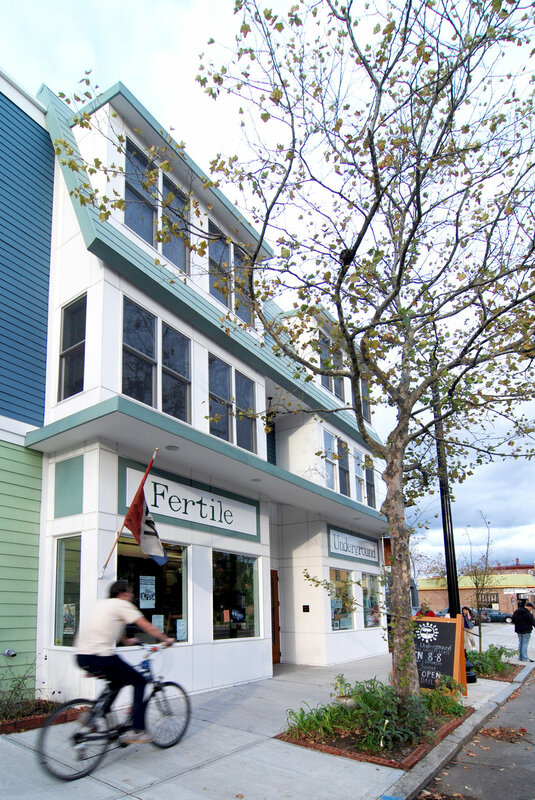 In collaboration with neighbors and community partners, the site was developed into a context-sensitive, "green," mixed use building with a grocery store on the ground floor and affordable assisted housing above. Westminster Street, West End, circa 1900. The first streetcar line was constructed in 1865 on Westminster Street from downtown to Olneyville. Tracks can be seen in this photo. In 1942, Westminster Street became part of the Interstate network of US 6 and remained so until 1988. A 2005 sign of what was to come...but not until 2010! Kari Lang, Executive Director of WBNA, onsite as demolition began. Peter Grafe checking out excavated slate and brick foundations from a Victorian homestead that once stood at 1577. A piece of copper from the original home was also found. Floor plan of residential units on the 2nd and 3rd floors. Inside one of the affordable assisted living apartments on the upper floors. In 2004, 1577 Westminster was a vacant auto body shop, one of the many car-related businesses that had proliferated, thrived, then languished on this street in the latter half of the twentieth century. Set back from the sidewalk and contributing negatively to the urban streetscape, this abandoned cinderblock building and parking lot told the story of how a once enviable Victorian boulevard had been forever changed by a highway. In the middle and late 1800s, Westminster Street, like its counterpart of Broadway, was home to stately Victorian homes built by the city's wealthy merchant class as well as smaller, vernacular residences and neighborhood businesses such as grocers, bakers and barbers. But in the 1940s, this once-bustling, neighborhood-focused main street began to transform in step with its new designation as Route 6, a highway system that at the time was a major east-west thoroughfare and the longest one in the country, built to span our two coasts. Westminster Street had become an interstate, which – along with a burgeoning car culture – demanded gas stations, auto shops and car dealers to support those who travelled along its route. A few decades later, the west side would undergo another challenge: socioeconomic disinvestment as middle class citygoers left for the suburbs. While Broadway was able to retain much of its Victorian streetscape during this destabilizing period, Westminster succumbed to its identity as a highway, losing much of its notable architecture and sense of place along the way. There were great losses in the nearly five decades of US 6 running through our neighborhood. Many of Westminster Street's finest architectural assets and some of Providence's most impressive homes were neglected and eventually demolished, to be replaced with many of the gas stations and car lots that still exist today. Neighborhood lore has it that an estate on Westminster Street designed by McKim, Mead and White – the architectural firm responsible for the Rhode Island State House, Boston Public Library, and Rosecliff among other famous public and private buildings in New England and New York – had been razed during this period of decline. In 1988, Route 6 was rerouted from Westminster Street to the newly constructed Route 6-10 Connector spanning Olneyville to downtown. Losing its commuting clientele, Westminster Street's identity would change again. Many of the auto shops and other businesses – like 1326 Westminster (a former car repair business and gas station) and 1560 Westminster (Texaco station turned WBNA headquarters) – were abandoned or used in a limited capacity. Westminster Street, which had long ago shifted its focus away from the retail and service needs of its immediate community, was left largely lifeless. But the story doesn't end there. 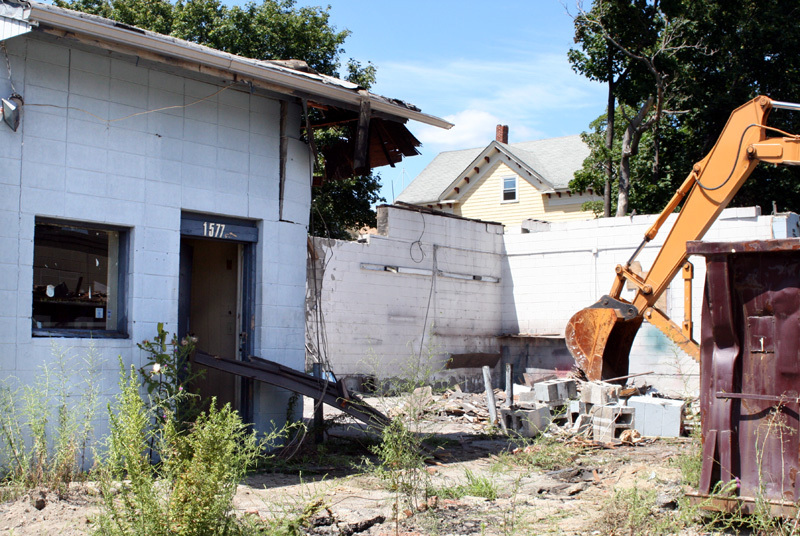 For more than a decade, innovative property and business owners have been repurposing and rehabilitating existing and often long-shuttered buildings on Westminster Street that are now contributing to the neighborhood. The list is long but most recently the neighborhood has gained Armory Animal Hospital (1272 Westminster), Ogie's Trailer Park (1155 Westminster), and Pizza J (967 Westminster) to name a few. 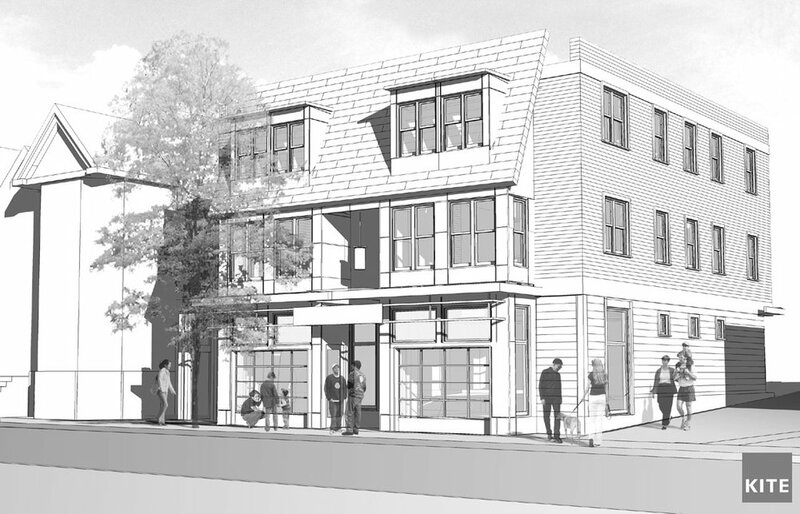 And responsible developers have stepped in to create new, neighborhood-appropriate infill construction, such as 1268 Westminster, which leads us back to our 1577 Westminster Street story. In June 2004, WBNA purchased the property at 1577 Westminster Street wanting to make it better, and turned to local architects for their best ideas on how to make "better" happen. In fall of 2004, WBNA's Community Development Committee (CDC) announced a Request for Proposals to local architectural firms to participate in a Design Competition for the site at 1577 Westminster Street. Architects were asked to design a newly constructed building that would serve as a model of sustainable green architecture and that would provide ground floor retail and affordable housing for low to moderate income families. Guidelines also included WBNA’s vision for Westminster Street as a thriving main street that would bring much needed services and amenities to our urban neighborhood, and adherence to the West Side Overlay District, a Providence Zoning Ordinance that was jointly created between the WBNA and the Providence Planning and Development Department. This ordinance stipulates "that existing and future development contributes to a continuous and active street that addresses the contextual, human-scale, mixed-use, pedestrian friendly [...] needs of the neighborhood and encourages neighborhood-oriented economic development." WBNA received three outstanding proposals from the following architectural firms: LOCAL and Truth Box, TWO TON, and William Kite Architects (now KITE Architects). Each architecture team presented its proposal to members during the 2005 WBNA Annual Meeting. Afterwards, neighbors gave input by voting for their preference. These votes were combined with those of a jury comprised of local neighbors, architects and CDC members to select the winning design. William Kite Architects' proposal won. This well respected and experienced firm also had some skin in the game, as two of its architects lived on Messer Street near the project site. As much excitement as there was for this project to happen, however, it would be multiple years before it took hold and ground was broken. A goal of this project was to develop affordable homes for purchase by individuals of low to moderate income. But WBNA faced a prohibitive funding gap in trying to reach that goal that stalled the project for nearly two years. When the housing market crashed in 2008, the project was on the verge of collapse. WBNA sought assistance from Barbara Sokoloff and Associates, a development and community planning consulting firm in Providence that, in the end, saved the project. Barbara and her team connected us with Spurwink RI who had a one million dollar HUD grant for supportive housing. 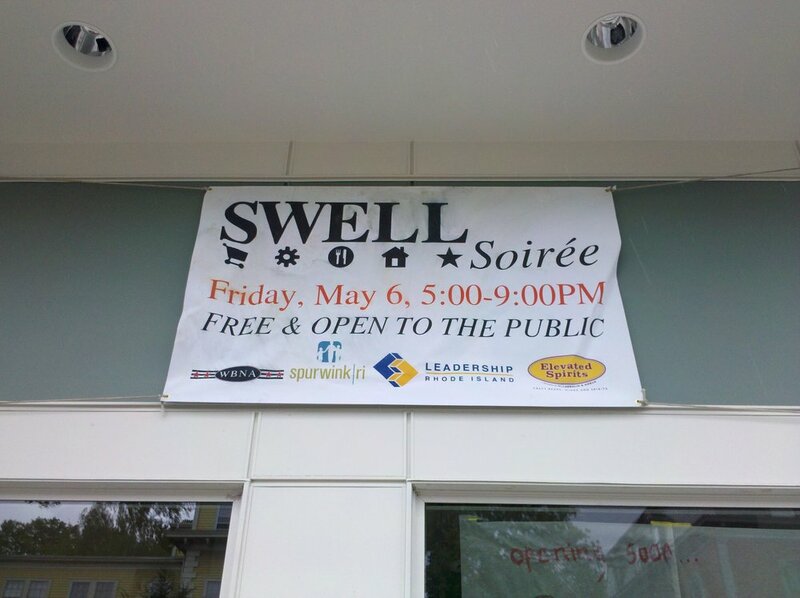 Spurwink was a great fit and a known neighborhood ally. Years earlier, the agency had taken on redeveloping the long vacant and badly deteriorating former Willow Street Elementary School for supportive housing. Spurwink's tenants had been active volunteers and WBNA friends for years, and we were thrilled to have found a match that would make the project happen while still meeting our project's mission. WBNA and Spurwink became development partners, with WBNA spearheading the downstairs retail portion of the building and Spurwink taking on the upper residential portion. 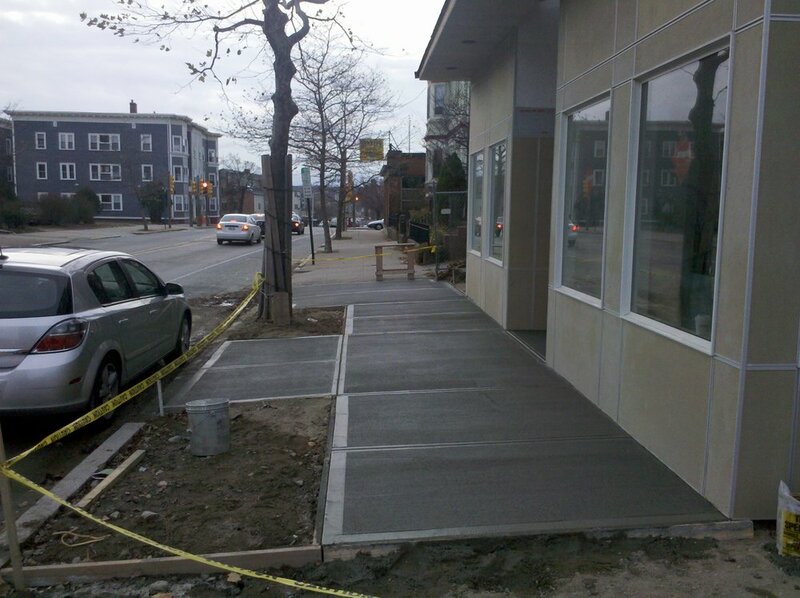 After a five-year delay, construction finally began in early 2010. Urban Greens was to be 1577's retail tenant operating its food cooperative in the ground floor of the proposed building. 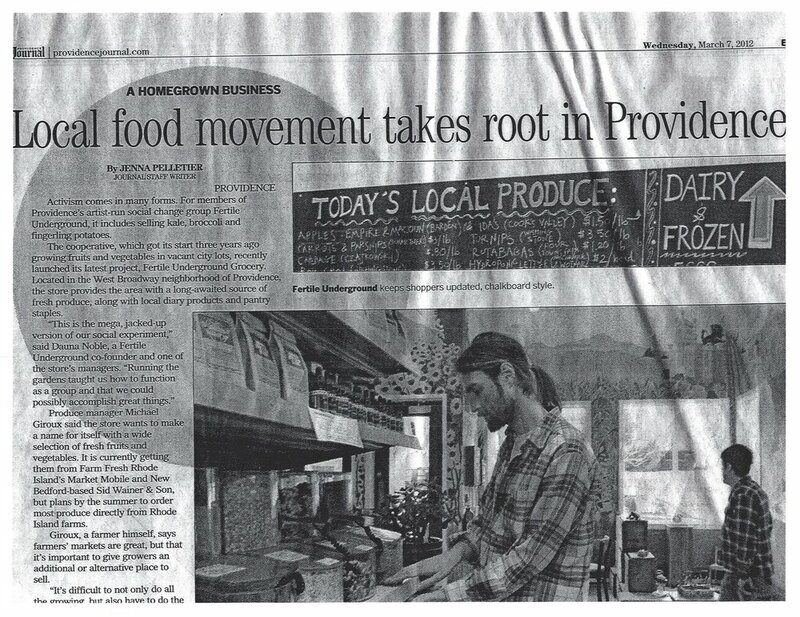 WBNA had attained a United Way grant with UG that offered supportive funding to a food cooperative in the new space. While these incentives were beneficial, UG had concerns about the size of the space and limited parking options for the store it had envisioned, and, with new leadership and heeding advisors, decided against moving forward in the space at 1577. WBNA announced a RFP for a new tenant that would fit the values and intent of the original United Way Grant. 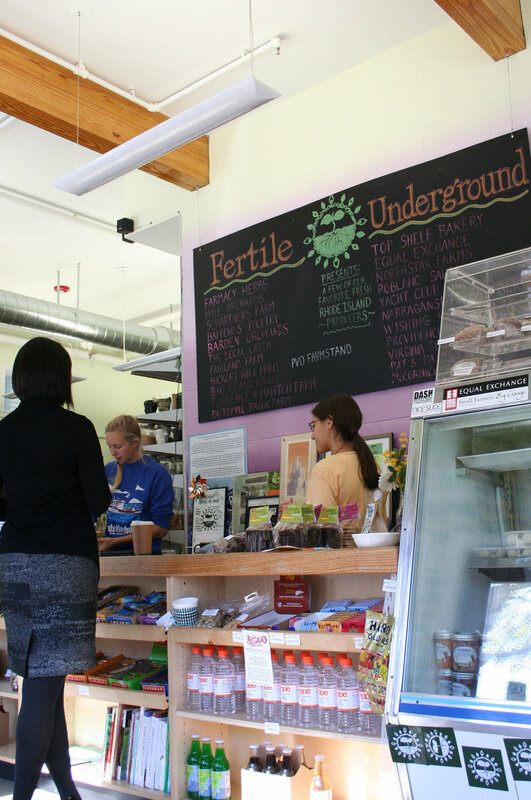 Fertile Underground Grocery was approved as the first floor grocer by our board, and operated in the ground floor space for 6 years until closing its doors. In the seven years it took for this project to come to fruition, some things changed, but our objectives for the project remained the same. Our goal to create four affordable housing units that would be sold to low to moderate families could not happen due to market changes, but 7 affordable assisted residential rental units were created instead. Urban Greens, our original prospect for a tenant, passed on the space, but the first floor retail unit continued as a food market with a different operator that provided fresh and natural groceries to our neighborhood for many years, and we now look forward to Urban Greens Food Co-op’s full service grocery store to soon open at the other end of Westminster Street! Today, 1577 Westminster Street stands available as two separate 989 square foot commercial spaces for lease with great amenities, and we look forward what the next chapter will be for these open, sunny spaces. To learn more about this property’s availability, click here. We are proud to have led a project rooted in community participation, that honors the West Side Overlay District for which neighbors advocated, and that showcased the talents of so many of our local businesses. We are grateful to KITE Architects and to all of our community partners for creating a model of what a sustainable new construction building can contribute to a community when it is done with sensitivity to context and the existing neighborhood, and with people and community at its heart.